Many people have no idea about how to play 3G2 files on PC smoothly because 3G2 file playback problems always happen to them. All of these 3G2 playback issues can be solved by using 3G2 Converter, next, let’s go for the details. Have You Ever Met Playback Problem with 3G2 Files? Q: I have a number of videos that were recorded on a Motorola phone in .3g2 format, when I played them in Windows Media Player, the videos played fine but there were no sound. Can anyone explain what is happening and how to play .3g2 files normally? A: The 3G2 is a video format which is similar with 3GP, but there are some differences between 3G2 and 3GP. The 3G2 format was designed for CDMA-based phones while 3GP format was designed for GSM-based phones. And 3G2 format can store the same video streams (H.263, MPEG-4 Part 2, H.264) and some audio streams that are used in the 3GP. Besides, 3G2 format can also contain EVRC, EVRC-B, EVRC-WB, 13K (QCELP), SMV or VMR-WB audio streams, which are not supported by some media players. Therefore, that’s why there is no sound and other playback problems when you play the 3G2 files. If you are bothered with these problems, let’s find out how to solve it with four simple ways efficiently. A professional 3G2 Video Files Converter will help you change 3G2 files to other formats in high speed. So I strongly recommend HD Video Converter Factory Pro to you. It not only helps you to deal with format incompatible problems but also helps you download videos from many popular websites, cut videos and add subtitle for videos. HD Video Converter Factory Pro is a multifunctional video converter and has many features to convert, compress, edit and enhance your video files, like convert your 3G2 files, cut video clips and improve video quality, so here I will show you how to convert 3G2 to a common format. Then, take a look about the detailed steps on converting 3G2 files. Before start, please free download 3G2 files converter for preparation on your Windows computer. Before start, please free downloadfree download 3G2 files converter for preparation on your Windows computer. 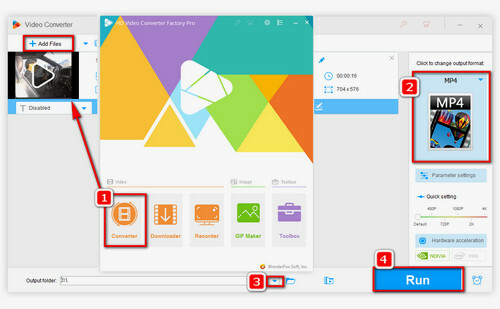 First of all, install the HD Video Converter Factory Pro, launch it and click Add Files button to choose a 3G2 file. 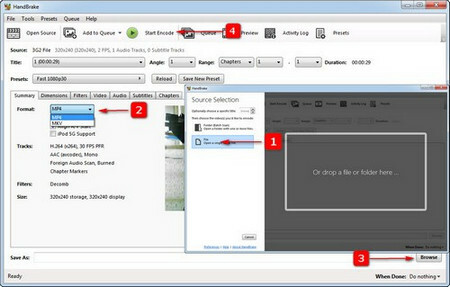 After choosing 3G2 file, you have to open the Output Format, then choose the video format that you want under Video Tab. Usually we would like to convert 3G2 to MP4 format. Before you click the Run button, remember to set the destination path for the output format so that you can find it easily. Click the yellow folder and set the output location. Now you just need to click the Run button, then you will get a new video format. When the conversion finishes, the 3G2 file converter will remind you “1 task has been finished”. Besides, this 3G2 file converter also allows you to download any video from any site by using URL freely, reduce video size, add subtitle to MP4 and so on. We often use VLC media player to play almost all video & audio files and play DVDs as well as the 3G2 files. In addition, it also can be used as a video converter. So we can convert video formats (like 3G2 files) , merge videos and crop videos on it. Now let’s find out how to convert 3G2 video file in VLC media player. Step 2: Run VLC Media Player. Click the Media button and you will see a menu bar, then click the Covert/Save… button. Step 3: Click the Add… button to choose a 3G2 file. Next click the convert/Save button. After this, open the format list and choose an output format, usually we choose 3G2 to MP4. Step 4: Before you click the Start button, please set the destination path by click the Browser button. HandBrake is a famous video transcoder, which enables you to convert 3G2 format to MP4 and MKV formats. 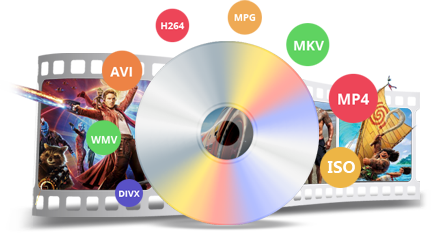 As we know, MP4 and MKV are supported by many video players. Now follow me to learn how to convert 3G2 video files with HandBrake. Step 1: Firstly, you should download 3G2 Converter - HandBrake from https://handbrake.fr/, then install it. Step 2: Select the 3G2 file that you want to convert to another format. 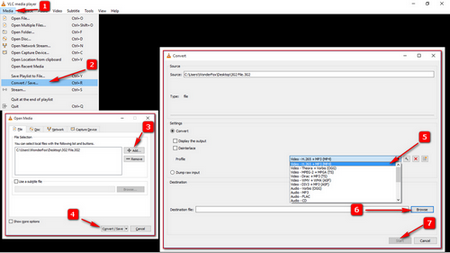 Step 3: Choose MP4 or MKV as output format and set the destination path for the output file. Step 4: After doing these steps, click Start Encode button and you will get a new format file. If you want to convert a small 3G2 file without downloading any converter, there are many online video converters for you and here I strongly recommend Zamzar. But if you want to convert large 3G2 files I suggest you to find a high-speed converter. Now convert 3G2 video files online with the following steps. Step 2: Choose a file and target format on web page. Step 3: After clicking convert button, the web page will start to upload the files. Step 4: Finally, it will turn to another web page, so you need to click the download button and the files will be saved to your PC. Four simple ways are provided to convert your 3G2 video files, have you got? You can choose any method to convert your 3G2 files. Hoping this tutorial will help you a lot. How to Rip Your DVD to PC or Mobile Devices? If you have lots of DVDs but take too much space for saving, how to deal with them? WonderFox DVD Ripper Pro is the best software which can help you convert your DVDs to videos then save them on your PC or other mobile devices so that you can enjoy your DVDs at anytime and anywhere. Download it here.